Wikipedia is one of those excellent no-signup websites you use every day 15 Excellent No-Sign Up Websites for Everyday Use 15 Excellent No-Sign Up Websites for Everyday Use Do you like websites which have no sign-ups, no registerations, and no downloads? Then, you will like these hassle free web apps and sites which make daily productivity a lot easier. Read More and you probably never thought about registering for it. Well, you’re doing it wrong! Logging into Wikipedia should be your first move because of how much better that makes the online encyclopedia. 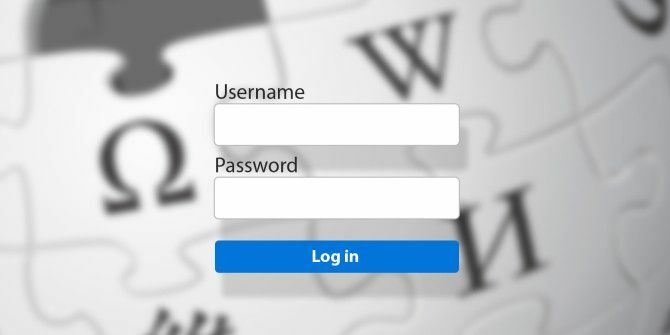 Now, it might be troublesome to sign into Wikipedia each time you visit, so I’d recommend that you use a good password manager 5 Password Management Tools Compared: Find the One That's Perfect for You 5 Password Management Tools Compared: Find the One That's Perfect for You Choosing some sort of password management strategy to deal with the huge amount of passwords we need is crucial. If you're like most people, you probably store your passwords in your brain. To remember them... Read More for the browser. So why should you register at Wikipedia? Here are the best benefits and features you can look forward to. Any article you read on Wikipedia usually contains several links to other articles. Some of these can be really interesting and weird 10 Insanely Weird Wikipedia Articles You Should Read 10 Insanely Weird Wikipedia Articles You Should Read Giant pink bunnies, upside-down calculator words, and lists of lists of lists. Read More , and deserve to be clicked and read independently. Some, however, are just good enough to understand the context and move on. Hovercards save you a click. Hover your mouse cursor over the link and a preview pane will show up, that displays the introductory stub of the article along with the main image. It saves you a lot of trouble and enriches the Wikipedia experience greatly! It’s like a useful Wikipedia plug-in The 7 Coolest Wikipedia Plugins for Your Browser The 7 Coolest Wikipedia Plugins for Your Browser Read More , but you don’t need to install anything. Going forward, this feature will also incorporate Wikitionary to get instant definitions and other Wikipedia collaborations for more info. As an endless encyclopedia of knowledge, there are plenty of ways to learn something new on Wikipedia every day 7 Ways To Learn Something New Every Day With Wikipedia 7 Ways To Learn Something New Every Day With Wikipedia Wikipedia is packed full of content. At the time of writing there are over 4 million articles contained within the English language version, with more being added all the time. All of these pages are... Read More . But how do you learn new things about topics you’re already interested in? Related Pages is a super-useful addition that shows suggested articles at the bottom of any page you’re reading, linking you to other articles of interest. The reasoning is that if a user has got to the bottom of an article, he is obviously interested enough to read that topic fully. So when given another such topic, he’ll want to read more. The team that made this feature say that tests showed that 25% of the users who saw such “read more” results clicked through at least once in a 1-day period. Wikipedia depends upon citations from reliable external resources. But just because you want to check a citation doesn’t mean you’re done with the page. A simple trick is to set all external links to open in a new tab. Similarly, you might also be tempted to search new topics while you’re reading some insanely weird Wikipedia articles 10 Insanely Weird Wikipedia Articles You Should Read 10 Insanely Weird Wikipedia Articles You Should Read Giant pink bunnies, upside-down calculator words, and lists of lists of lists. Read More . Don’t get sidetracked. Go to the search bar, type your query, and press CTRL before you press Enter. This can open any search results in a new tab. Bored of how Wikipedia looks? 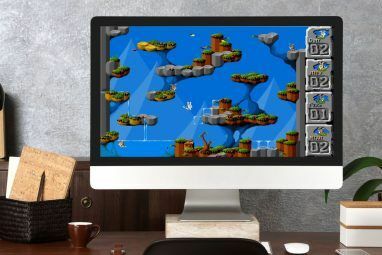 Well, you’d be surprised to know that there are different skins available to customize its design! In fact, Wikipedia itself provides four different skins: Cologne Blue, Modern, Monobook, and Vector (the default skin you always see). Not only do you get to customize the look with this, but you also don’t need fantastic free Wikipedia extensions 3 Fantastic Free Extensions to Improve Wikipedia on Google Chrome 3 Fantastic Free Extensions to Improve Wikipedia on Google Chrome As an avid Wikipedia user, there are two tools I have found quite helpful in my research, and another one which makes Wikipedia far more beautiful to browse through. Want to know what these are? Read More , so the look will be consistent across different browsers and computers or mobiles. Wikipedia is completely free to use, but once a year, you’ll see a banner asking you to donate money so it continues to remain free. 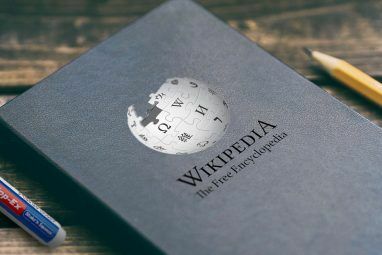 We aren’t going to argue about the ethics of why Wikipedia needs donations if it has millions already Wikipedia Has Millions In The Bank – Why Beg For More? Wikipedia Has Millions In The Bank – Why Beg For More? Read More . 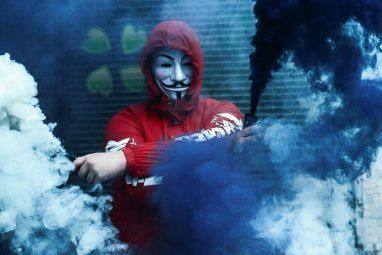 But if these banners annoy you, then the easiest way to suppress them is by signing in, whether you have donated or not. In fact, apart from donations, you can also curb other announcement banners that Wikipedia pushes sometimes. Since it’s a publicly editable encyclopedia, almost anyone has the ability to change information on a Wikipedia page. While moderators do a good job of ensuring the information is sound, when it comes to topics you care about or are directly related to, it’s best to check the data yourself. By adding a page to your “Watchlist”, you will be notified of any changes or edits made to it. The cooler part is that this also serves as your personal bookmark system. Let’s say you read about one of the fascinating people on Wikipedia Wacky Wiki: 6 Fascinating People on Wikipedia Wacky Wiki: 6 Fascinating People on Wikipedia Most people approach Wikipedia as they approach Google: they head there with a search term already in mind. But that approach may mean you miss out on much of what Wikipedia has to offer. It... Read More . You can add other such people to your Watchlist and return to it whenever you want. Plus, if you are tracking a topic — like say, you’re interested in the Steven Avery case — you will know if something new has happened by your Watchlist notifying you. Remember, Wikipedia editors are enthusiastic and prompt 9 Beautifully Pointless Wikipedia Edit Wars You Need to Know About 9 Beautifully Pointless Wikipedia Edit Wars You Need to Know About If you get a kick out of people watching, reading pointless edit wars on Wikipedia could be your new hobby. Here are nine articles to start off with. Read More , so that will be one of the first places to issue a verified update! Cicking the Watchlist (star) icon on any page to add it to your list. Wikimedia Commons, one of the essential Wikipedia sister sites, gets many images uploaded to it all the time. Every year, it holds a “Picture of the Year” (POTY) contest, and with a registered account, you can vote to choose it! Be a part of the two-round process. Good news: The 2015 POTY hasn’t been chosen yet, so register now and you’ll be ready for it. Apart from POTY, you also get to vote in the Wikipedia board member’s election to choose who should get a seat at the big table. The point is simply that once you sign in and explore the Preferences section, you’ll find a wide range of tools and features that you might find useful. The biggest benefit of registering for Wikipedia is the amount of control it gives those who like to edit the public encyclopedia. You get to be part of a worldwide community of volunteers. And who knows, it could be a great opportunity to build your online reputation by earning some barnstars. Have you ever edited a Wikipedia article? Why, and how did it make you feel? Now that you’re convinced to sign up, would you want to edit it? Explore more about: Encyclopedia, Online Community, Wikipedia. I have tried providing edits in some articles but the process of this and the layout isn't that clear; and I never remember any contact back of those being accepted. Howard, you don't need approval. You can just login and make changes.